This retro inspired one piece swimsuit is fancy and chic. The top has a gathered seam down the center and the back of the top has our signature button panel. The skirt is adorned by a beautiful white eyelet lace trim highlighting the feminine elegance of this style. 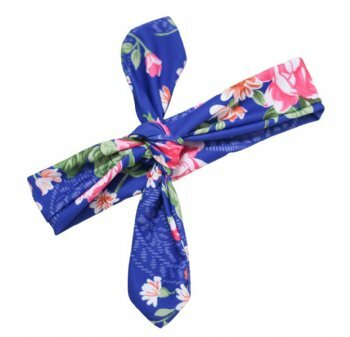 This style features a beautiful, bright blue custom floral print with hues of pink and coral flowers woven throughout. 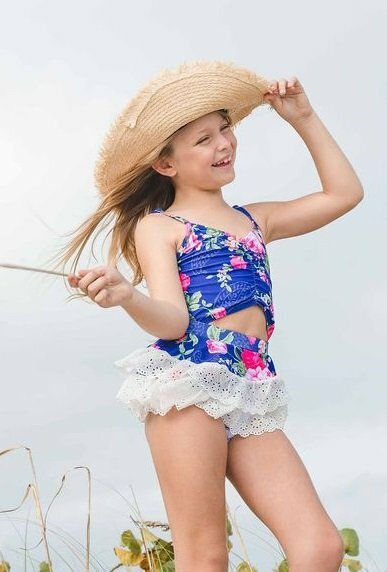 We paired this elegant floral print with our classic blue ticking stripe fabric giving this swimsuit a timeless yet traditional look. 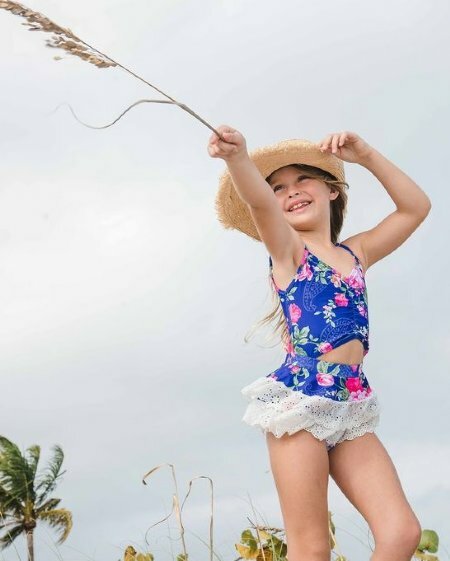 This polyester/elastane design is made with our premium buttery soft UPF/SPF 50+ swim fabric which is estimated to block up to 98% of the sun's harmful rays. This style is designed to be fitted around the chest and the waist. Runs true to size.